Somerset Fortune is a luxury compound that used to be owned by the Singapore group ASCOTT , now days Somerset Fortune contain more apartments which are individuals owners and some serviced apartments which still managed by developer owner. It is a high rise residential tower comprising 221 apartments that range from a 76sqm 1 bedroom layout to a 340sqm 4 bedroom layout. The compound has a high foreign occupancy rate, and the apartments are spacious with modern high quality furniture. 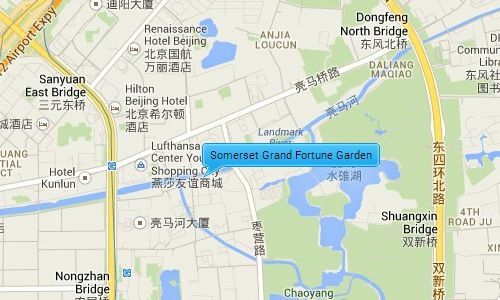 Somerset Fortune offers an alternative to a 5 Star Hotel for business people looking for a bit of class and elegance during their stay in Beijing.